HelloFresh meal delivery service has come a long way from its modest beginnings. In 2011, it started out by delivering meal kits to its first 10 customers in Berlin. Since then, it has grown into an international giant, now serving millions of home cooks in 10 markets. After successfully establishing large customer bases in the USA, Canada, the UK, Germany, the Netherlands, Belgium, Austria, Switzerland, and Australia, HelloFresh has now launched in New Zealand. Excited about the expansion, HelloFresh’s Australia and New Zealand CEO Tom Rutledge shares the company’s plans for its newest market. One of the main reasons why the HelloFresh team is so enthusiastic about working in New Zealand is that it will have the chance to build its kits on the world-famous Kiwi produce. With such extraordinary ingredients, creative juices are sure to get flowing in the HelloFresh kitchen. According to Rutledge’s words, the meal kits will be developed in direct cooperation with New Zealand customers. New Zealanders will get to say what they want to see on their dinner tables and what their preferences are in terms of recipes. They will be able to tailor their home dining experience to their needs while enjoying the multiple benefits of stress-free meal kit cooking. 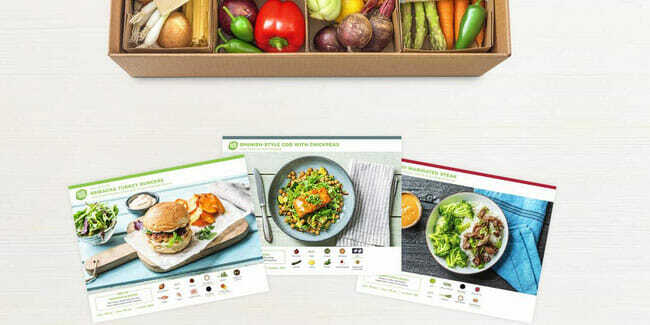 HelloFresh is well-known for its great flexibility, with its customizable, no-contract meal plans for omnivorous and vegetarian couples and families and plenty of diverse dinner ideas on the menu. However, that is not the main reason for its huge popularity. By truly listening to its customers and working hard on fulfilling their demands, it has managed to revolutionize the meal kit market and personalize the meal kit experience. While many other meal delivery services are struggling to stay afloat, HelloFresh is expanding into new markets and it definitely seems stronger than ever. We have no doubt that it will be just as successful in New Zealand as it is in Australia and we cannot wait to see what culinary innovations its team will come up with now that it has Kiwi wonders at its disposal.